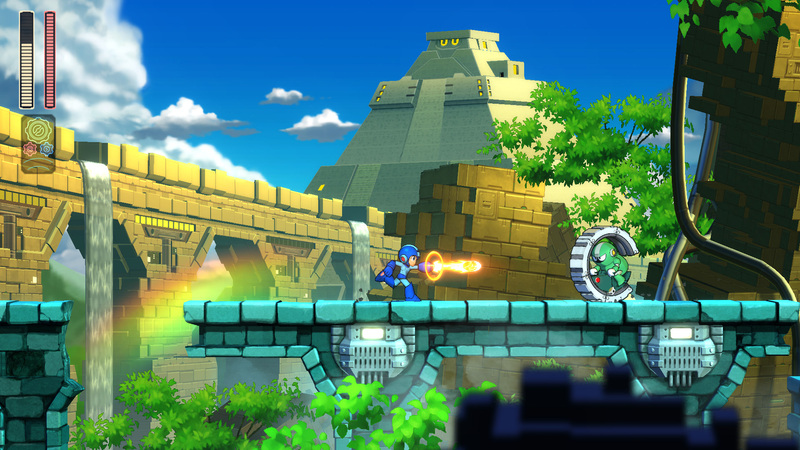 Capcom has revealed the release date for the latest installment in the Mega Man franchise. Mega Man 11 will be made available on October 2 on the PC, PlayStation 4, Xbox One, and Nintendo Switch. A pre-order trailer for the game gives viewers an insight into the gameplay of the Blue Bomber’s latest adventure. A blog post on Capcom’s website has given the official release date for Mega Man 11 and has also revealed a pre-order trailer for the game. The game features the eponymous hero battling through fiendish platform levels to face a number of bosses (Robot Masters), including Block Man and Fuse Man. A new feature to the series is the double gear system, which allows Mega Man to enjoy some additional abilities: Speed Gear slows the game environment down and Power Gear gives the blue hero extra damage with regular booster shots and with the Mega Booster. The trailer for Mega Man 11 shows the typical hectic platform gameplay that the series is renowned for, based in a setting that shows off the combination of 2.5D and 3D graphics and improved character design. The first Mega Man game was released by Capcom in 1987 originally for the Nintendo Entertainment System. The series has been very successful for the Japanese video game company, with total sales of the many Mega Man games exceeding 30 million units. Mega Man 11 will be released on the PC, PS4, Xbox One, and Nintendo Switch on October 2. Those who pre-order the game through a qualifying store will receive a free in-game bonus soundtrack. There will also be an Amiibo edition available for the Nintendo Switch (US & Canada only).